A Field Trip to Old World Wisconsin is where memories are made! Thinking about sharing Old World Wisconsin with your students? We have redesigned our Field Trip programs based on new standards, new experiences, and most importantly, feedback from you! Check out the options below to find the trip that’s right for you. A Field Trip to Old World Wisconsin consists of a set of programs and a scheduled lunch break (with games!) to give your students a hands-on, minds-on day of exploration and inquiry. NEW! Our Village Quest Field Trips are for grades 4-8, and consists of a 90 minute role-playing-game adventure in our Crossroads Village, plus a lunch break, and cost $6/student. Our Classic Field Trips are for grades 4-8, and consist of 2 different 60 minute programs, plus a lunch break, and cost $8/student. Our First Field Trips are for grades K-3, and consist of 2 different 60 minute programs, plus a lunch break, and cost $6/student. Our Deep Dive Field Trips are for grades 8+, and consist of a specialized 90 minute program and cost $9/student. *There is no charge for teachers and school staff to attend Field Trips at Old World Wisconsin. Parent chaperones may attend with a cost of $15 each. Each chaperone must be approved for attendance by the teacher. THINKING ABOUT A FIELD TRIP? TRY THE TEACHER EXPLORER PASS!  If you are considering, or have already booked, a Field Trip to Old World Wisconsin you should know about the Teacher Explorer Pass. This provides FREE general admission to any Wisconsin or Illinois teacher so you can feel prepared and ready for the adventure of your upcoming Field Trip. The day is yours to explore the site, check out restroom locations, see your lunch area, and feel confident in the details of your day. To take advantage of the Teacher Explorer Pass, simply present your valid School ID at the Admission desk when you arrive. The Teacher Explorer Pass is only valid for one (1) adult general admission; is not valid for any special programs such as Old World Christmas, Legends and Lore, Apprentice for a Day, etc. ; not valid with any other discounts; has no cash value.